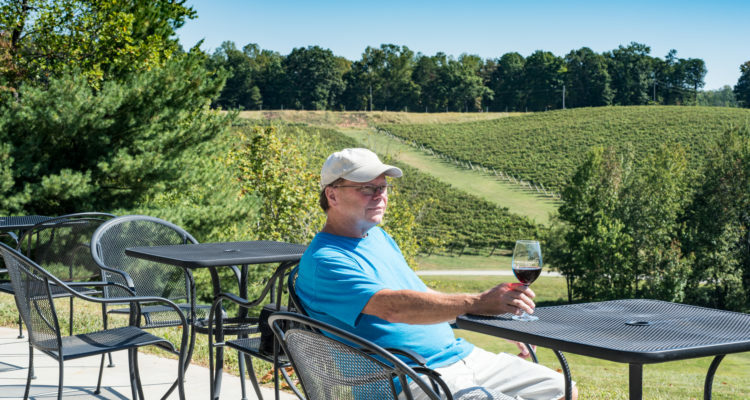 North Carolina is home to nearly 200 wineries spanning the entire state and within each one you will find a smiling face happy to see you. There are some notions of what North Carolina wine “is” – all sweet, all dry, but the truth is in North Carolina wine is made to be enjoyed. Diverse climates within its borders allows North Carolina to grow most major grape varieties known around the world and some that can only be found here! You Will find Cabernet Franc, Tempranillo, and Alberino that compete on a world stage and you can find Scuppernong, Noble, and Carlos which you will only find in this area. If you enjoy visiting wineries you will enjoy North Carolina. Let your day meander like the roads through the Yadkin Valley. Start at a small winery tucked away on the side of a hill and go through a tasting while staring out over the vineyard that seems to reach the mountains in the distance. As you enjoy your wines ask the winery staff about the area and they are sure to recommend other wineries nearby you should visit. You will not have to worry about where to eat as the winery will have food available on site or be able to give you the scoop on all the best local eateries. Let your trip roll into Day Two with live music at the tasting room and lodging in the vineyard. Depending on where you are, you may have the comfort of a hotel overlooking the winery and vineyards, a rustic cabin only feet from the first row of vines, or a treehouse with a deck to catch the sun dropping through the vines as it sets. 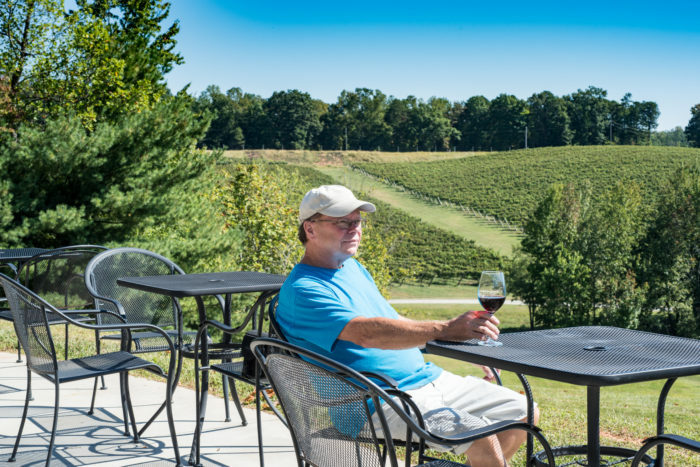 A weekend to visit NC wineries is the easiest thing in the world to plan: just drive down the road and when you see a sign for a winery, pop in! This is an industry built around hospitality and the staff you meet at each winery you visit will gladly help you pick your next stop. 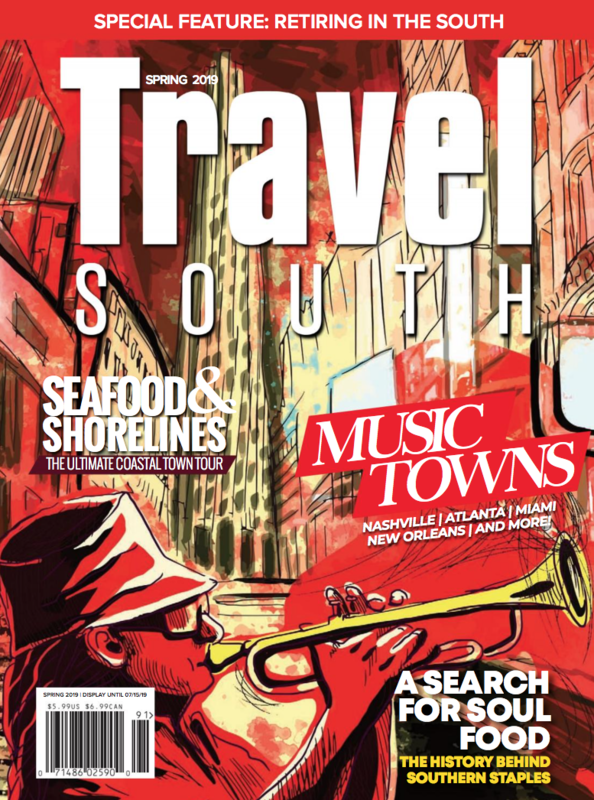 Ask for a copy of the North Carolina Winery Guide at your first stop or at the Welcome Center as you cross into the state. The Winery Guide lists the wineries with their contact information and location on a map and shows you exactly what amenities they offer. (Hint hint: most wineries will let you bring your four-legged friend!) If you are more of a planner, a quick look at ncwine.org before your trip will give you all the information you need to complete your itinerary before you start your trip. When you step up to the tasting bar at a winery in North Carolina, you know you are in good hands because no matter where you are from, when you are in North Carolina, you are home.